*Reading: finished Stardust by Neil Gaiman. I really good read. Very fairy tale. Started Five Little Pigs (Murder in Retrospect) by Agatha Christie and will be starting Anansi Boys by Neil Gaiman. Trying to shift my reading into other author as I am getting low on Gaiman books to read. I am looking at either the Inkheart or His Dark Material series (both I have read, but am looking to revisit them). *Writing: wrote a flash fiction piece called Happy F***in' Valentine's Day: A Story for the #writestuff group (topic Anti-Valentine's Day) and co-wrote a poem with the Hubs on Friday about Quetzalcoatl. WORD TOTAL: 877 and 114. *Editing/Novel: made a dent this week in The Real Road Trip. Not the full 20 pages I planned, but really got to the heart of one of my characters. I am going to accept that this revision is going to be a full revision and not just small fixes. It's what is right for this story right now. Need to clear the crap out and flesh out the rest of the bits left after the cut. TOTAL 11+ pages. *Blogging: was busy on the blog, what with the Coraline review happening. I finally watched the movie and the review of the book versus the movie needed to happen. Then I posted Happy F***in' Valentine's Day: A Story. 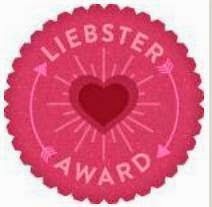 Finally, I was tagged in Ink Dipped Moon's blog for the Liebster Award. The getting to know you blog conversation starter. I had done it before, so I decided to do it again and tag new people. *Social Media/Visiting: on track. 4+ daily blogs visited. Missed Saturday due to it being an unplugged day. *Theatre Stuffs (The Mousetrap): got the armchair, most of the costume pieces from the costumer, move the furniture to the dance floor because of an event that needs the space Monday and set building commences on Wednesday, and chatted with my producer. You know, the getting in line with his stuff and my stuff, so we are both on the same page. *Reading: Five Little Pigs (Murder in Retrospect). 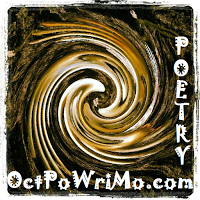 *Writing: write or work on a new flash fiction story and interview my friend about her new Kickstarter: Positive Randomosity podcasts. More on that later (but check it out now)! *Blogging: 1 new post, about friend's Kickstarter project (see above). *Theatre Stuffs: preparation for costumes parade Wednesday, submit press release to one more newspaper, and not freak out about there being less than 2 week until we open. This is the second time I type this check-in, as my internet went stupid just prior to hitting publish. Gah! So anyway, it has been a busy week here. The cold isn't helping. Today is at least in the upper 20's (heat wave?) Tomorrow the bitter cold returns. I still have a nasty cough. But, I have the theatre and the writing. It keeps me going. What about you, Dear Readers? How are you surviving you winter of hell 2015? How are the goals coming? Anything exciting, joyous, and beautiful happening in your worlds? Leave me some love below, I do love to hear from you all!! 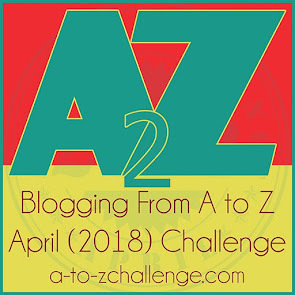 A Round of Words in 80 Days is a blog challenge that knows you have a life. It challenges you to make goals and report on those goal bi-weekly. 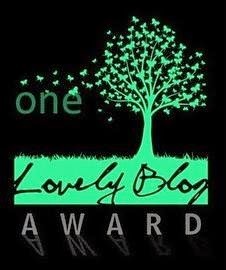 It is a Blog Hop. Come on in! You made decent progress this week. I'm sick, too, and it makes productivity tricky. I've been meaning to read Stardust and Anasi Boys. Hey, thanks! I'm trying. When the cats want to curl up its hard to get moving. Will be glad for spring!!! Glad you enjoyed "Stardust." I really enjoyed that one too. I haven't read "Anansi Boys" yet. I am definitely over winter and am eagerly awaiting spring's arrival. I look forward to being able to wear sandals and tank tops again--and to read/write outside in the mornings, which is one of my favorite warm-weather rituals.